From the Halls of Montezuma to the snowy banks of the North Pole, this iconic Christmas wreath couples your love of country with your love of Christmas! 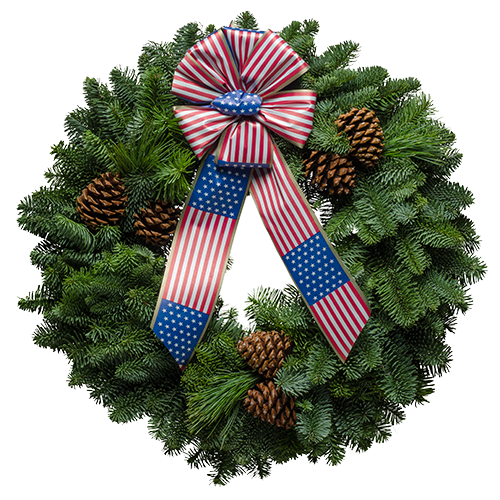 Topped with the �taffeta� bow, the patriotic Stars & Stripes wreath is a great way to honor Americarsquo;s colors and celebrate the season! "Our son is in the marines, so the Stars & Stripes Wreath this year will be extra special - Thanks!"